As far as I’m concerned, every visit to London is a special treat. 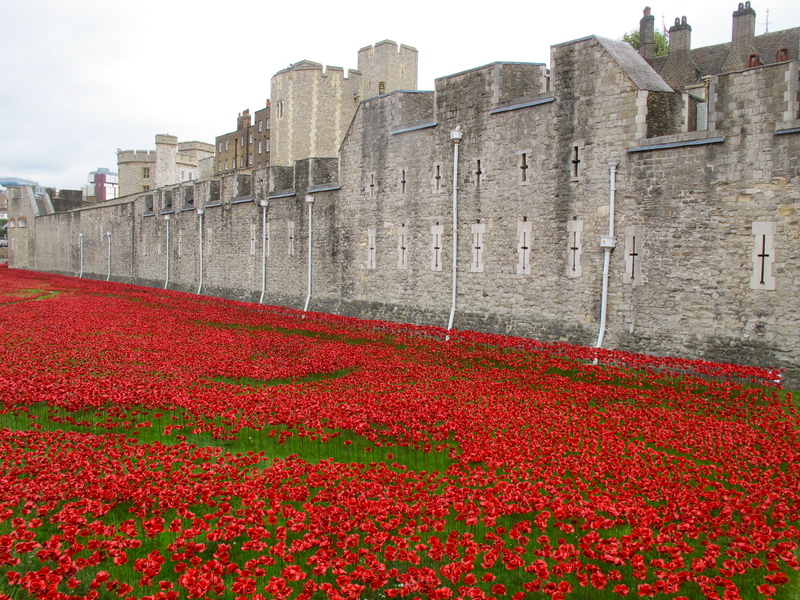 This year, an amazing art project commemorating the World War I, made it even more special. 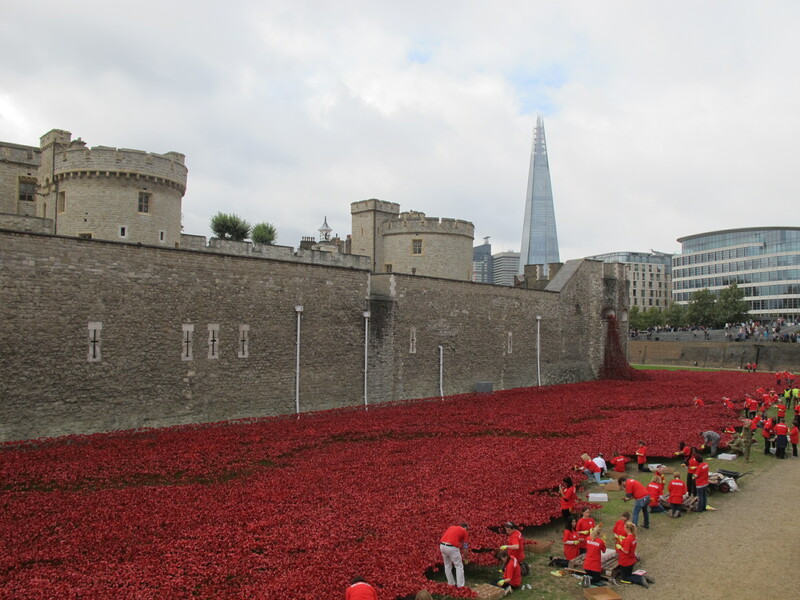 For a few brief months (August 5 to November 11, 2014 to be exact), the moat surrounding the mighty Tower of London was transformed into a crimson sea of poppies – one for each British soldier fallen during the Great War. 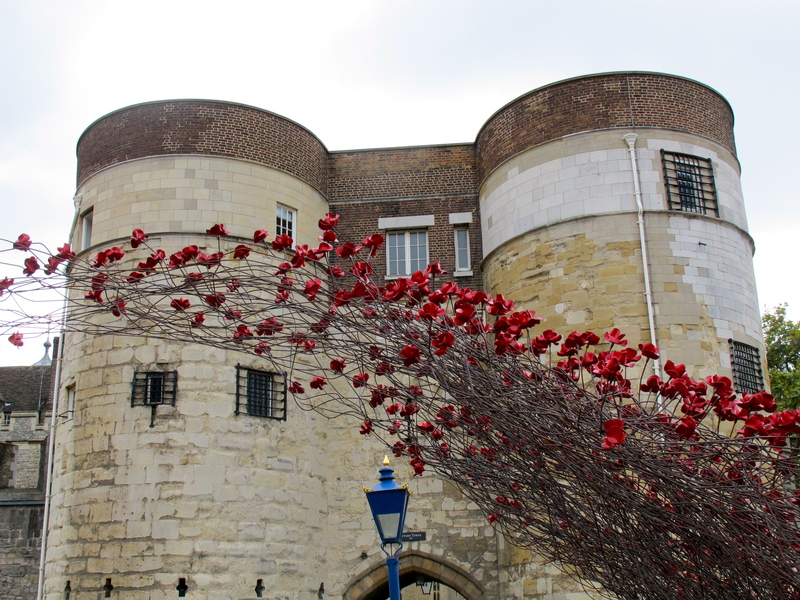 Created by artist Paul Cummins and designer Tom Piper, the installation called Blood Swept Lands and Seas of Red filled the moat over the summer with 888,246 hand-made ceramic poppies. What is so amazing about this exhibit is that it was more than just a form of artistic expression. It was a civic project. 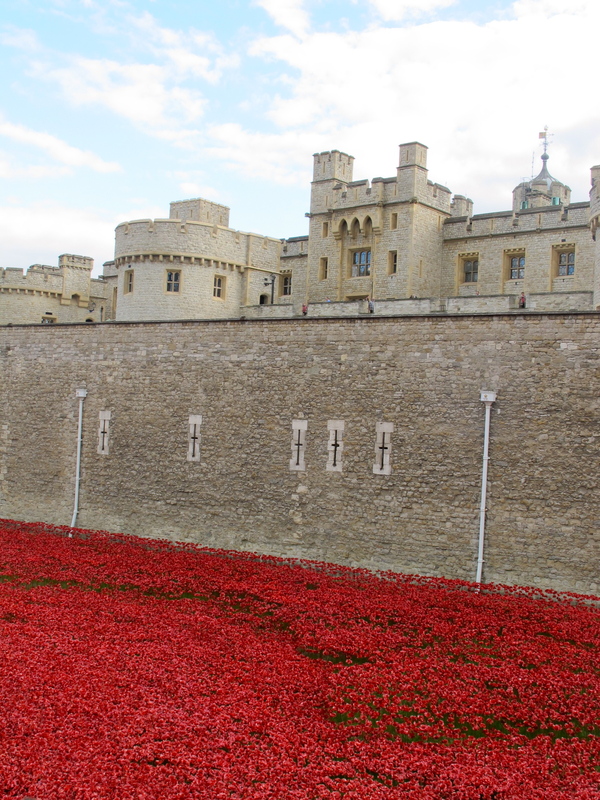 Hundreds of volunteers helped to place the poppies and countless visitors were deeply touched by it, pausing in reflection on the enormity of human loss of that dreadful war – and any war. 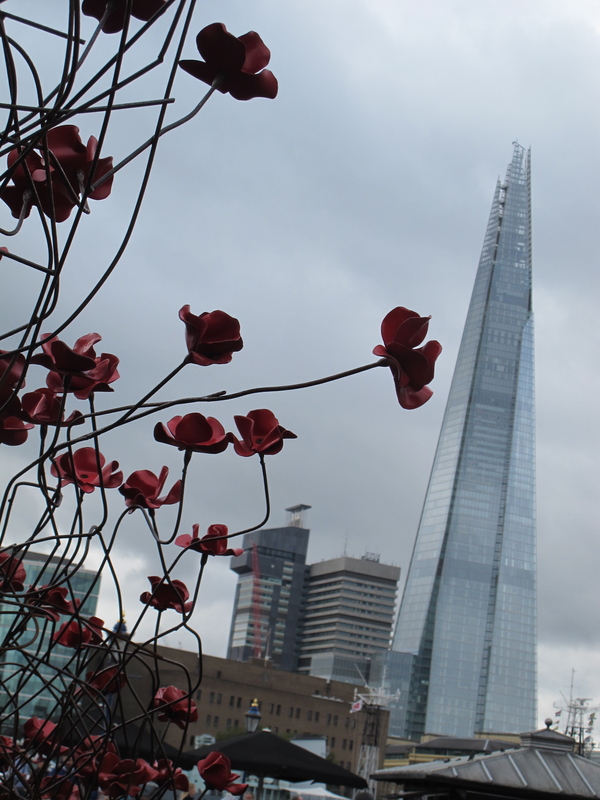 Crucially, the installation was not meant to be a permanent fixture but rather a reminder of how fleeting our lives are. 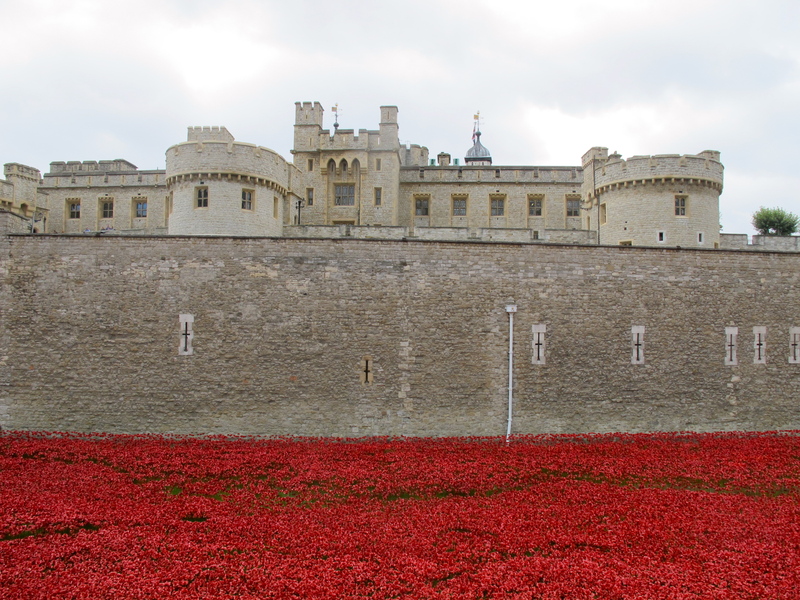 Nothing lasts forever, memories of the past fade like fields of poppies in autumn chill, people move on… The day after the Armistice Day of November 11, the exhibit has begun to be dismantled. 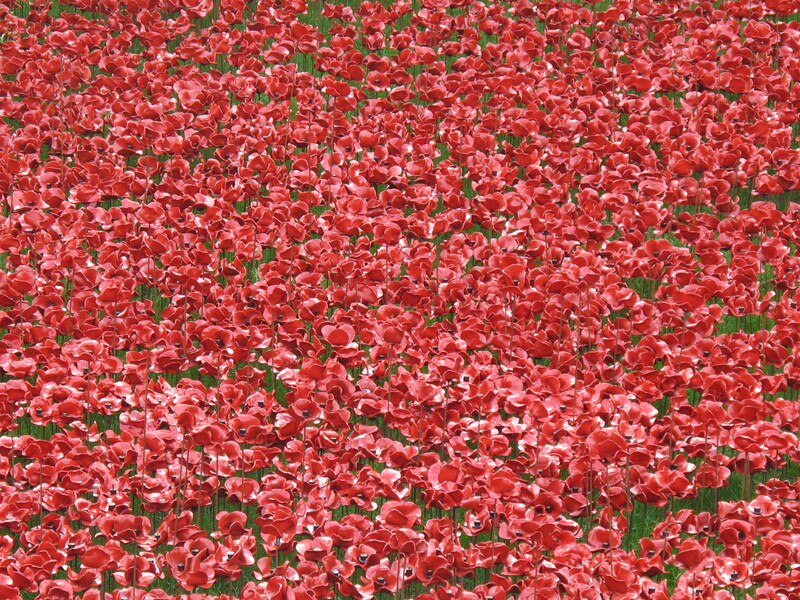 Each poppy had been previously made available for purchase, with 10% of proceeds plus all net proceeds to be shared amongst charities. 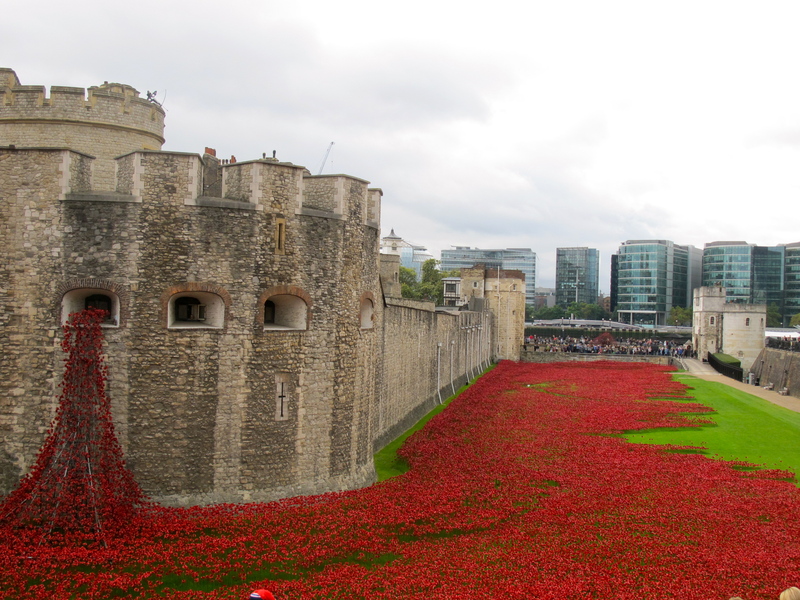 I felt so privileged and fortunate to see the poppies in all their glory last September! And I will never forget.